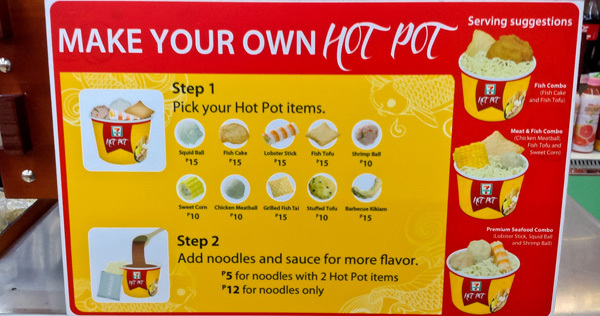 It’s been raining the past few weeks and the release of 7-11’s latest offering is timely – make your own hot pot! Please pardon my overzealous ways, I really like soup. There are 10 items to choose from for your own hot pot. Prices are based on what you chose to put in your bowl. 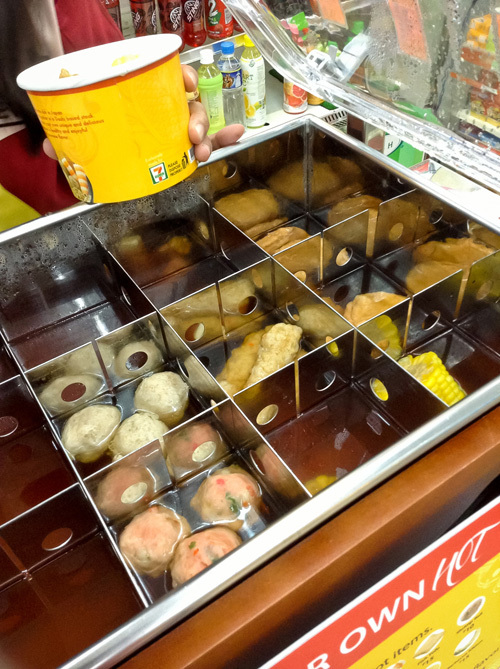 I’ve tried the fish cake, stuffed tofu, lobster stick and corn. I found the consistency of the tofu odd so I stuck with getting the fish cake and corn every time. 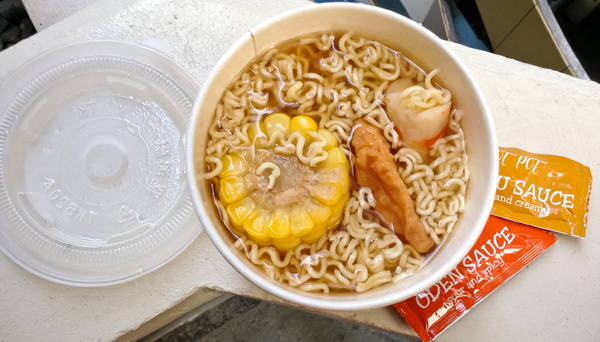 My pick for today, corn, lobster stick and fish cake – only P50! The fish cake may look small because it’s standing but that piece of cake is rather wide. The bowl of hot pot comes with 2 kinds of sauce: Shoyu (sweet and creamy – my pick) and Oden (sour and spicy). My new cheap thrill has its limits – it’s only available Mondays to Fridays from 11:30 AM – 6:30 PM. Head to your nearest outlet to have your own hot pot made.